Faber® Tone-Lock™ “Pro Sustainer System”™ parts are the best way to increase sustain on your guitar! Guaranteed! Parts for Gibson, Heritage, Epiphone, Tokai,Ibanez and many others! Our basic “Tone-Lock”™ is comprised of unique “vintage” STEEL studs and spacers, featuring our solid “No Gap” technology, and can be used with any standard sized stop tailpiece. 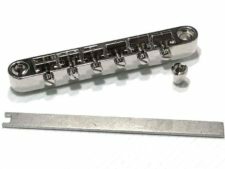 Tone-Lock™ comes with 2 steel studs, in Imperial (inch) or metric thread, plus 3 pairs of spacers to place your tailpiece at your preferred height. Spacers can even be “stacked” for further customization and comfort. This is the best and most innovative tailpiece locking system available today and the best sustain enhancing product you can buy for your stop tailpiece equipped guitar. Our exclusive “No Gap” technology is also available in our Tone-Lock™ Bridge. Light years ahead of the usual “set screw” method of locking a bridge to the studs, one look at our system will show it’s design superiority and how it actually can increase sustain. 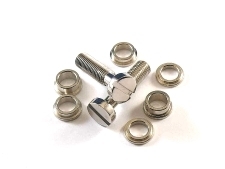 With our system, you won’t damage your bridge post’s threads – a common occurrence with the set screw method. The Tone-Lock™ Bridge, just like our non-locking ABR-59 bridges, features removable saddles. Standard saddles have starter notches dead center, but optional saddles without notches are available. Models available for virtually any electric guitar! 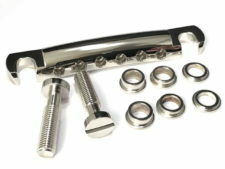 Pre-made kits are available for guitars requiring bridge post conversion posts. 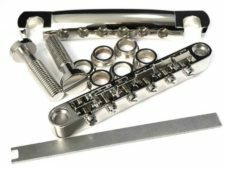 Faber® provides an “All in One” solution to better tone with the “Tone-Lock”™ MASTER KIT – save 5% over buying the parts separately! All Master Kits Include “Tone-Lock”™ studs and spacers, a TP-59 tailpiece and a “Tone-Lock”™ Bridge. 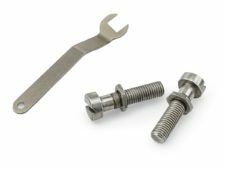 This is the kit to buy to completely upgrade your ABR-1 equipped guitar (i.e., Gibson Historics and any guitars using ABR-1 style 6-32 threaded bridge posts) or 4mm bridges posts (i.e., non-USA made imports, such as Tokai). Gibson guitars with the Nashville bridge system, and Heritage guitars with Schaller bridges, will require the Faber® iNsert™, BSWKIT™ or NSWKIT™ to install the “Tone-Lock”™ Bridge. Most Epiphone, and many other non USA made guitars using the Large Bridge Post system will require the Faber® E-Sert™ or ESWKIT™. We make it easy, by offering pre-made kits with the proper bridge conversion posts for your guitar!